So, you're planning on upgrading. Perhaps you're wanting to get onto SolidWorks 2013 now that the masses have tested it out, and it's at a relatively progressed Service Pack. OR, perhaps you'd like to enjoy the new feature of SolidWorks 2014. Here's a list of steps, or things to consider, or a list of topic's that a CAD MicroSolutions Techie might talk to you about since you're part of our community of SolidWorks Subscribers and are making use of our upgrade services. Do you have the DVD or downloaded media at the right version and Service Pack? You can always download the full DVD from the Customer Portal. Are you using Enterprise PDM or Workgroup PDM? 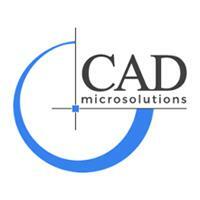 If you are using Enterprise PDM, make sure to contact CAD MicroSolutions Technical Support Team 416-213-0533 x 0; support@cadmicro.com for complete details and support to ensure a smooth upgrade. For Workgroup PDM, inform everyone to check in all documents across the Board. Then you want to stop the service (you can also do this from the SolidWorks Workgroup PDM VaultAdmin Tool > Vault Management Tab > Service box > Stop), and then back up the entire "root directory", it is listed in the Vault Information box, under the same tab. If you aren't using a Product Data Management (PDM), you'll want to consider backing up all file locations either locally or on the server if it isn't already being done so. This is good practice, and heaven forbid anything happens, you'll have files to fall back upon. Are all your customized templates in one place outside of the Program Files / ProgramData locations? One, you want to check that everyone is using the same set of templates, and two, you want to make sure that they don't get erased/over-written when an uninstall/install is performed. A complete list of templates to consider is found under Tools > Options > System Options > File Locations. Move customized templates to the designated folder where necessary. Is your Toolbox customized? Have you backed it up? What kind of Serials do you have? Stand-alone seats, or a network style, or possibly both. Call (416-213-0533) and ask us if you're unsure. If you are using a network license (SNL), you'll want to start by updating the server. When updating the SolidNetWork License Manager, it is recommend to get everybody to exit SolidWorks and return any manually borrowed licenses. Go to the server, insert the DVD, or copy the "swlicmgr" folder specifically. Disable the anti-virus, ensure that you have full admin rights, and the User Account Control Settings have been set to "Never Notify". Then run the setup.exe and follow the steps. If you have used the DVD, select "Server Products > Install SolidNetWork License Manager" and proceed. The most important step is at the end, go back and open the License manager, go to the Server Admin tab, hit Modify Button then choose "Activate / Re-activate" to bring the license file up to the latest version. Also note, that if you have users that are still on the previous versions because you can't get to all the computers at once, they can still talk with the newest version of the SNL. Test by going to a local machine and open SolidWorks. If you are using Workgroup PDM, then you'll want to update the Vault. If you haven't already done so, Stop the Services as indicated in Step 1, or from the Services "SolidWorks Workgroup PDM Server". Go to the server, insert the DVD, or copy the "pdmwserver" folder specifically. Disable the anti-virus, ensure that you have full admin rights, and the User Account Control Settings have been set to "Never Notify". Then run the setup.exe and follow the steps. If you have used the DVD, select "Server Products > Install SolidWorks Workgroup PDM Server" and proceed. When indicated, point the new vault to the existing vault folder. Please note that WPDM is Major Version dependent, and you WILL NEED TO UPDATE EVERYONE across the board to the same major version at the same time. Service Pack variations are not a big concern. Now comes the question of updating SolidWorks, Simulation and Composer specifically. There are two choices at this point. Either you have been using the SolidWorks DVD / downloaded Media (From the Customer Portal) or "Help > Check for Updates" to perform upgrades and updates, or in larger groups, Administrative Images can be used. More Details about Administrative Images here. Contact Technical Support 416-213-0533 x 0; support@cadmicro.com if you have any other questions about the use of Administrative Images. Details after this point, are strictly relating to using the DVD / downloaded Media. Ensure that the anti-virus has been disabled, that the logged-in user has full admin rights, and the User Account Control Settings has been set to 'Never Notify'. It is highly recommended to cleanly remove the previous version before installing the latest. This is done to make the most efficient use of hard drive space, and to ensure that SolidWorks correctly, freshly installs. You can either do this manually in the older versions of SolidWorks (click here), or let the uninstall do it for you. Control Panel > Program and Features > SolidWorks > Right Mouse Click "Uninstall" > Advanced Options box: Change > enable all across the board and proceed. Install SolidWorks. Insert the DVD and let it auto-run, or select Setup.exe. Video here. If you have WPDM ensure to install the related features, including at least one VaultAdmin. Open the SolidWorks Workgroup PDM Vault Admin Tool > Vault Management Tab, and enable "Validate Vault > Next Startup" and "on next startup "Rebuild Vault > enable Rename ..., Refresh..., and Rebuild...". Then Stop and Start the Vault, and let it run. You want to only really do this once right after the update. You can also consider updating all the files in the vault or specific projects to the latest version using the Task Schedular, for better performance when opening files in SolidWorks. Open SolidWorks, ensure that you can access the vault. It's also recommended that you set the SolidWorks Workgroup PDM Options inside of SolidWorks > Folders tab > to use a specific "Save in, Open and Check Out" folder, or set it to the folder that you were previously using. Ensure that your templates are all pointing to the correct locations, including the default ones. See Step 3 for details. If you have multiple computers to implement changes to, consider the use of a "Copy Settings Wizard" file, or keep it for back-up purposes. Modify the User Interface to your liking, including any mouse gestures, or context menus. Set anti-virus exceptions for part, assembly and drawing files types(.sldprt; .sldasm; .slddrw). Including program exceptions (Default location: C:/Program Files/SolidWorsk Corp/SolidWorks/sldworks.exe). This will ensure that you will not loose any work, nor experience anti-virus related crashes and get full functionality as intended. If you are experiencing any graphic's related challenges, such as inability to select items, rotating choppiness, painfully slow refresh rate, check your Graphic's card via the SolidWorks Rx > diagnostic's tab. See this link for more info. If you have any questions, or run into difficulty, contact support@cadmicro.com or 416-213-0533. ~Happy Designing!